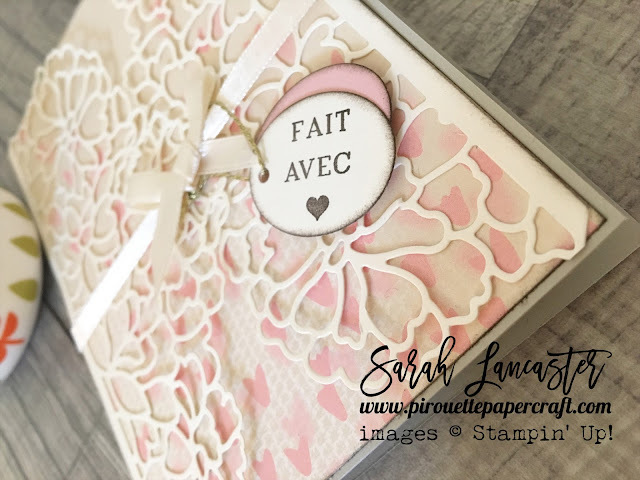 Today I am sharing the creations from my recent atelier around the Falling in Love suite of products from Stampin' Up! My ladies loved making the beautiful cards and boxes to gift to their loved ones for Valentines Day. 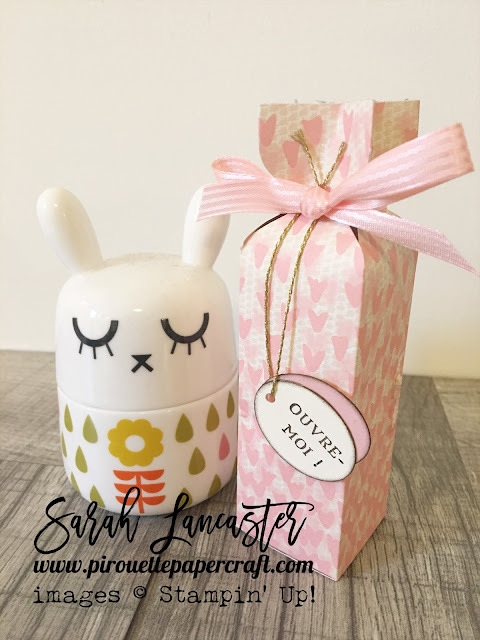 There's still plenty of time to create for Valentines Day too. Our cards were created using the Falling in Love DSP and delicate die cuts from So in Love bundle. 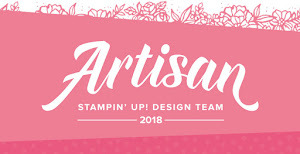 To create the sentiment for the card we used the Window Shopping bundle. 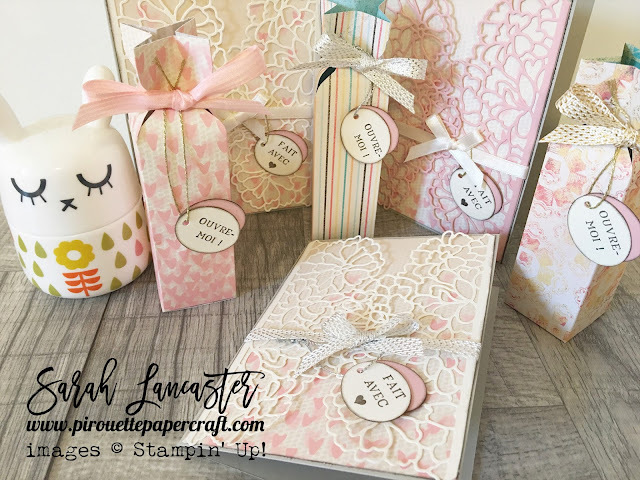 Our little boxes were constructed using 6 x 6 inch square Falling in Love DSP and the Envelope Punch Board. Thanks for joining me today. 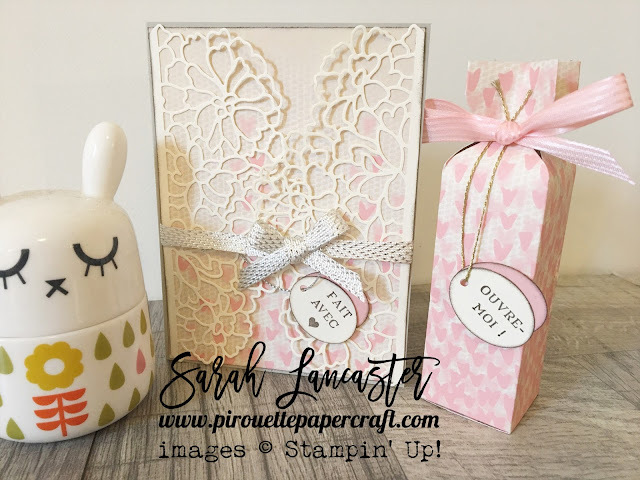 If you'd like to order the So In Love bundle, or any of the other lovely things I have shared today, then please pop over to my Stampin' Up! online store. During the current promotion of Sale a Bration you can choose a free gift for every 60€/£45 you spend.